A giant shout out to our wonderful event sponsors — the following fine folks help make the 5th Annual Tawba Fest more epic than ever! Riverwalk Carolinas is a dynamic, riverfront community with a distinctive, outdoor lifestyle being developed on the scenic Catawba River. Located in Rock Hill & home to Tawba Fest, Riverwalk is a 1,008 acre master planned community features 850 home sites, 250 townhome, and 550 apartments. Enjoy unique dining, shopping, and entertainment concepts and world class cycling venue all intermixed along a 2.5 mile stretch of the Catawba River. Our mission – to be your trusted not-for-profit financial services partner who exceeds your expectations and helps you prosper. What you really want to know is can we handle your banking needs? Of course. We are your partner for financial growth and management, making your money work harder for you with smarter, less complicated, and readily available tools and services. What sets us apart is how vested we are in the community – we’re local people benefiting local people. Our goals revolve around you. Today, Charlotte Metro has over $500 million in assets and more than 56,000 incredible customers. What does that mean? If you live, work, worship, or attend school in Cabarrus, Gaston, Iredell, Lincoln, Mecklenburg, Rowan, or Union Counties in North Carolina or York, Lancaster, or Chester Counties in South Carolina, you can open an account. No, you don’t have to work for a specific company or have a certain job to qualify. BNA CPAs & Advisors has been located in Rock Hill, SC since 1979. Our brand new, 5 story, state-of-the-art office and retail center is situated in the heart of the River District of Riverwalk in Rock Hill, SC. For more information about BNA and it's services, please visit www.bnacpa.com. Brockmann Law is a boutique law firm that limits its practice to complex business matters such as commercial real estate, tax, finance, estates and business transactions. The Pump House, a white-napkin restaurant located at the raised former pumping station on the Catawba River. Experience some of the best Southern-inspired American cuisine available anywhere. The Pump House features the freshest ingredients prepared by accomplished local chefs who know what great food is all about. For more information and updates on The Pump House check out their Facebook page. 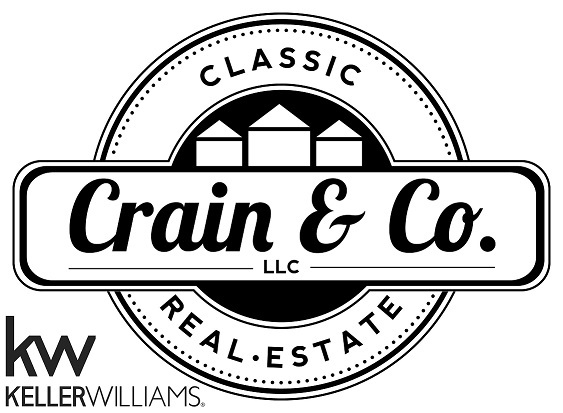 Crain & Co., with Keller Williams Realty is owned by Cydni Crain who is a licensed SC/NC REALTOR® with Keller Williams Realty. She is a Riverwalk resident and would love to help with any Real Estate needs. You can find Real Estate information at www.CrainRealEstate.com. Granite Contracting offers a full range of construction services that include site grading, underground utilities, storm drain, stone base, curb and gutter, speciality concreate, pavement maintenance and asphalt paving. .
HomeTrust Bank is a community bank across four SE states. We believe that strong relationships lead to the great things. Our bankers strive every day to work with individuals and businesses to help them prepare for what's next in their financial future. Whether saving for a house, planning for college, or growing a business, our commitment to excellent personal service builds long-standing relationships. Working with multiple generations within a family or business is just one way we can accomplish something great together with our customers. Orange Theory Fitness is a boutique fitness studio that is tailored to all fitness levels allowing all members of the community to start a new fitness program or continue on one! We are a one-hour, full body, HIIT workout that is proven to burn more calories post workout. We train in 5 different heart rate zones and wear heart rate monitors through out the workout so that you can see your results in real time! We have coaches in the studio with you that keep you from over training or under training. We give you more life in the studio, so you have more life outside of the studio! Riverwalk Smile Dentistry is committed to providing a new level of comfort, confidence and oral health care using modern state-of-the-art dental technologies, massage chairs, comfortable amenities and an experienced staff.